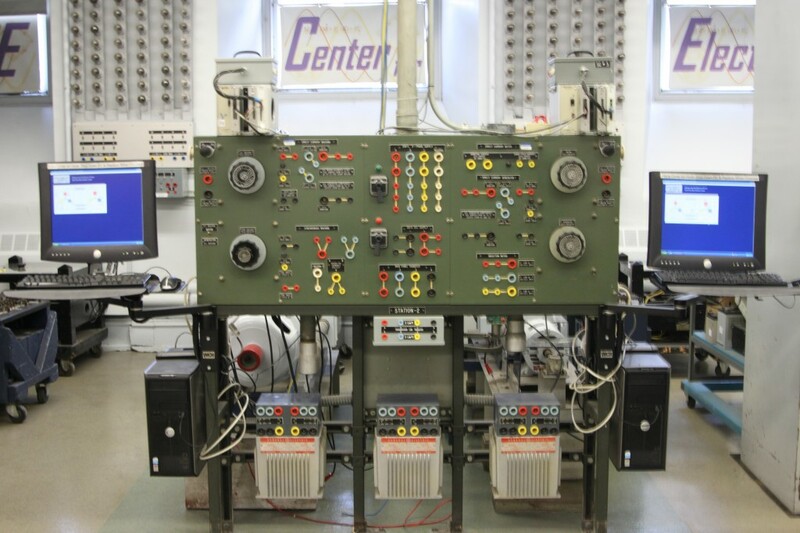 Center for Electric Power Engineering has a host of machines that vary in ratings as part of academics and research. These are used for courses, research, and senior design projects at Drexel University. Allow students to gain hands-on experience with electrical machinery. 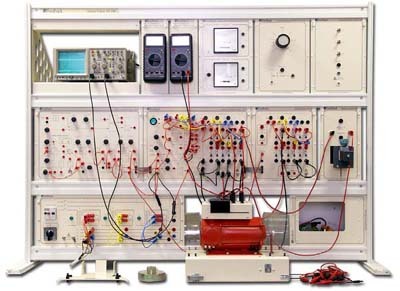 Teach principles of operation, testing and control of various AC and DC machines. Perform various tests and compare & analyze results to that of software simulations. Help students to visualize principles of power system and electric machinery operation. Machine terminals are available on the grid control panel for input power, control and connecting to the loads. This allows easy, efficient and safe access to the machines for tests and experiments. Voltage, current and other states of the machine while in operation are accessible through various terminals and on PCs via Signal Conditioning Boards. This allows students to easily record and analyze data. In addition to these, there are a range of lower rating Feedback® machines [see figure below] that are part of Powerframes Systems- a comprehensive package for study of power systems and electrical machines. AC generators and synchronous motors of ratings 4-5 kVA and 1200-1800 rmp are installed in IPSL. In addition to the motors and generators, twelve 5 kVA GE transformers are also part of the lab. 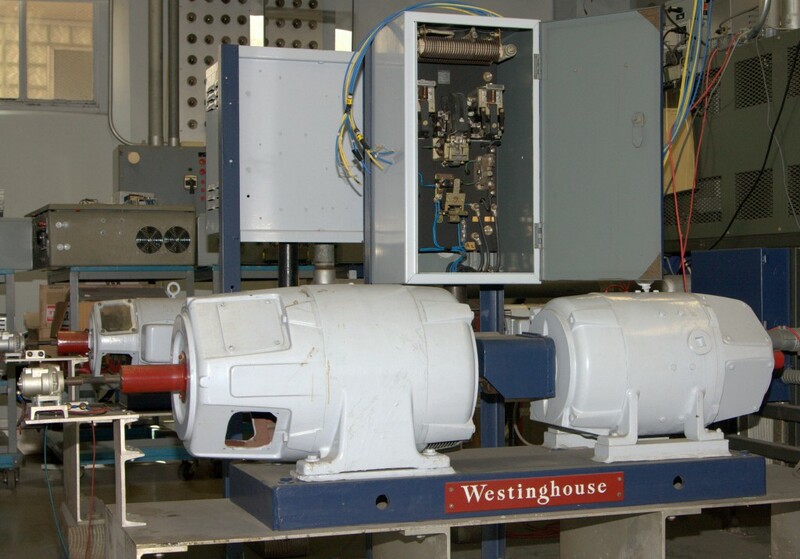 CEPE’s DC Generators and DC motors are from Westinghouse and GW (see below). The motors are available in ratings of 5-7 hp and 1200-1800 rpm. 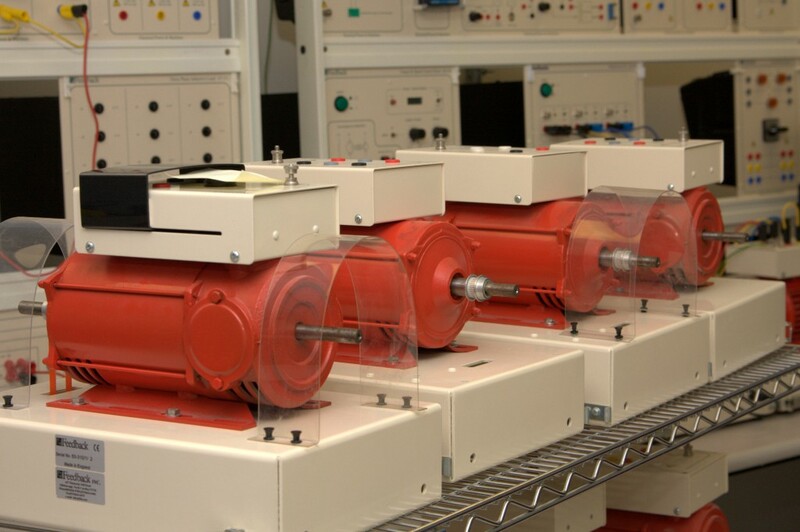 As part of Ortlip, there is a dedicated group of lower rating (0.25 hp) machines and associated equipment including squirrel cage induction motors, a series universal motor, and a DC shunt/compound machine. Variable autotransformers (VARIAC) and AC power supply units from KIKUSUI are used for providing regulated power to each machine. PECO is the AC utility supplier and DC power comes from a rectifier and DC generator installed at the lab facility. 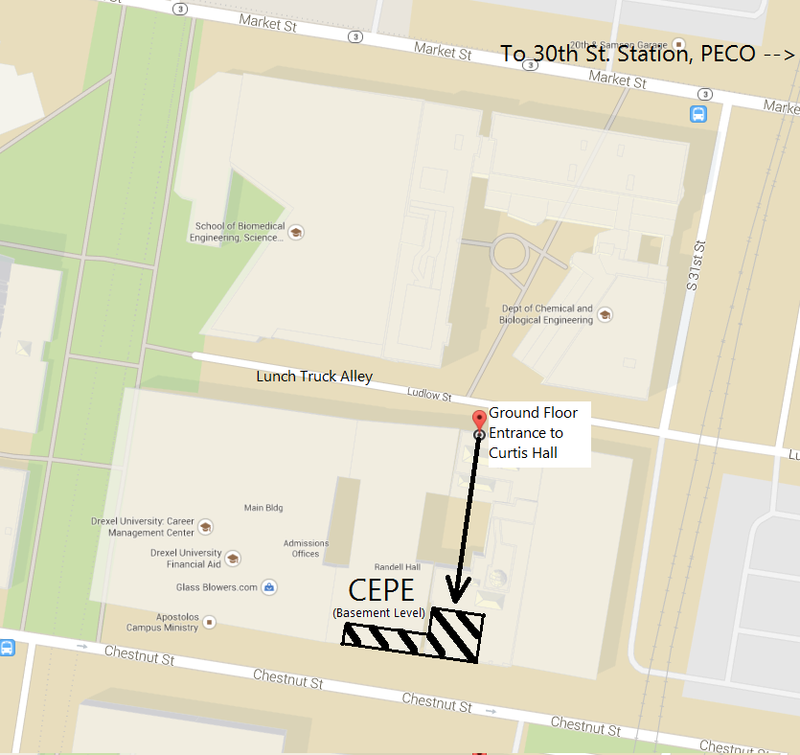 Machines at CEPE are included in various courses offered under undergraduate and graduate curriculum at Drexel University. Course topics are designed to assist students in learning basic and advanced electric machinery principles. This is then fostered by actual hardware and software experiments. Analysis, comparison and obtaining results from this allow students to understand power system operation and introduce them to actual operating conditions. Experiments performed include those for control of machines and for determining parameters. Open Circuit tests, Short circuit tests, Load tests and Resistance tests are a few to mention. Finding maximum efficient operating point, acceptable region of operation, plotting various operating curves for the machines etc. are also included in the curriculum.